~y using the word 'waqaftu' (I have made a waqf), because it explicitly signifies the intention of waqf without needing any further clarification. They differ regarding the creation of waqf by the use of such words as 'habastu ' (I have detained), sabbaltu (I have donated as charity), abbad tu (I have perpetually settled), etc., and go into needless details. Is a waqf completed by an act (such as when someone makes a mosque and calls the people to pray in it, or allows burials to take place in a piece of land with an intention of making it a waqf for a graveyard) without one uttering 'waqaftu' or 'habastu' or similar words, or is it necessary that the declaration take place, the act by itself being iusuffi cient? 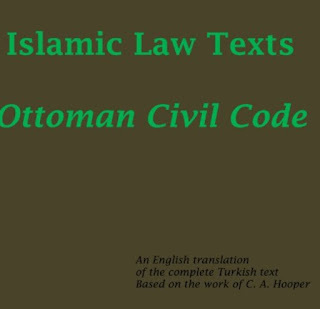 The Hanafi, Maaliki and \anbalí schools say: An act by itself is sufficient and the property becomes, consequent to the act, a waqf (Ibn Qudamah's al-Mughn~, vol.5, baab al-waqf; Sharh al-Zarqani 'ala Mukh tasar A b? Diya ', vol.7, baab al waqf). A group of major Imámi scholars also holds this view, including al Sayyid al-Yazdi in his work Mul ,haqd t al-'Urwah, alSayyid Abu al-Hasan al-'Isfahani in Wasilat al-najat and alSayyid al-Hakim in Minhaj al ~ali,hin. AlShahid al-'Awwal and Ibn Idris have also been reported to hold this view. The Sháfi`ís observe: A waqf is completed only by the recital of the slghah (al-Mughni, vol.5). Does waqf require acceptance or is its declaration as waqf (by the waqif) sufficient? In other words, is waqf created by a single decision, or is it necessary that there be two concurrent decisions? In this context the Jurists have divided waqfs into public (in which the waqif has no specific beneficiary in his mind, e.g. waqfs made for the poor and waqfs of mosques and shrines) and private waqfs (e.g. a waqf made for the benefit of one's children). 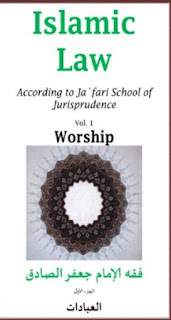 The four Sunni schools concur that a public waqf requires no acceptance, and according to the Málikís and most Hanafi Jurists a private waqf, like a public one, requires no acceptance. The Imámi Jurists differ among themselves, holding one of the following three opinions. 1. Necessity of acceptance in both public and private waqfs. 2. Absence of such necessity in both kinds of waqfs. The Málikís observe: It is valid for a waqf to depend upon a con tingency. Therefore, if the owner says: "When such and such a time comes, my house will become a waqf," it is valid and the waqf is com pleted (Sharh al-Zarqani 'ala Mukhtasar Abi Diya', vol.7, baab al-waqf). The Hanafl and the Shaafi'ee schools state: It is not valid to make a waqf contingent on the occurrence of an event; rather, it is Waajib that waqf be unconditional, and if it is made to depend upon a contingency, as in the above-mentioned example, it will remain the property of the owner (Shirbini's al-'Iqna', vol.2, baab al-waqf; Fath al-Qadu, vol.5, kitab al-waqf). I don't know how these two schools allow divorce to depend upon a contingency, while they disallow similar dependence in other spheres of fiqh, despite the fact that caution and stringency are more necessary in marital issues when compared to other issues. The \anbalís say: A waqf can be made contingent on the occur rence of death. Apart from this, dependence on any other contingency is invalid (Ghayat al-muntaha, vol.2, baab al-waqf ). Most Imámi Jurists consider tanrz (its being unconditionally opera tional) as Waajib and do not permit its being made contingent on a future event. (al-'Allamah al-Hilli, al-Tadhkirah, vol.2; al-Jawaahir, vol.4; and Mulhaqat al-'Urwah, baab al-waqf).6 Therefore, if a person says: "When I die, this property will become a waqf," it will not become a waqf after his death. But if he says: "After my death make this property a wqaf," it will be considered a will for creating a waqf and the executor of the will be responsible for creating the waqf. The schools concur that sanity is a necessary condition for the creation of a waqf. Therefore, a waqf created by an insane person is not valid, because the Shari'ah does not burden him with any duty and does not attach any significance to his decisions, words or deeds. The schools also concur upon maturity as a necessary condition. This implies that a waqf created by a child, irrespective of his being discerning or not, is invalid, and neither is the guardian is entitled to create a waqf on his behalf, nor is the qa~i empowered to act as a guardian in this regard or to allow the creation of such a waqf. Some Imám; Jurists consider a waqf created by a child over ten years as valid, but most of them oppose this view. An idiot is also incapable of creating a waqf, for it is a disposition of property and an idiot is not authorized to carry out acts of such a nature.7 The \anafís say: It is valid for an idiot to bequeath one-third of his wealth provided that the bequest is for charitable purposes, irrespective of whether it is in the form of a waqf or otherwise (al-Fiqh 'ala al-madhahib al-'arba'ah, vol.2, baab mabhath al-hajr 'ala al-safih). There is no doubt that the intention of creating a waqf is necessary for its creation. 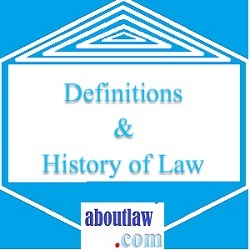 Hence if a declaration signifying the creation of waqf is made by a person who is intoxicated, unconscious, or asleep, or is made in jest, the recital will be void, because of the principle of un changed status of the ownership of the property. The schools differ on the question as to whether niyyat al-qurbah (the intention to seek God's good-pleasure) is a necessary condition like sanity and puberty (so that if a waqif makes a waqf for a worldly motive it would fail to be operative) or if it becomes operative without it. Malik and the Sháfi`ís observe: Niyyat al-qurbah is not necessary in a waqf (Abu Zuhrah, kitaib al-waqf, p. 92 ff.). The \anbalís state: It is necessary that waqf be made for a pious, spiritual purpose (e.g. for the poor or for mosques, bridges, books, for relatives, etc.,) because the Shari'ah has created the institution of waqf for acquiring spiritual reward, otherwise the purpose for which it was incorporated in the Shari'ah is not achieved (Ibn Dawayan, Manar al sabil, p. 6, 1st ed.). 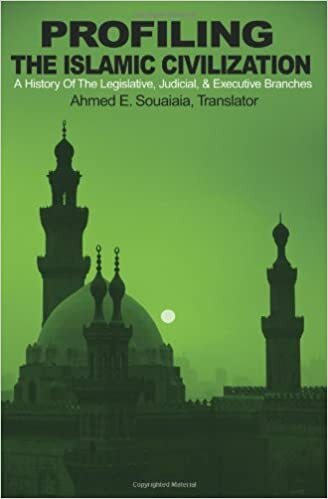 From among the Imámís, the authors of al-Jawaahir and Mulhaqat al-'Urwah observe: Qurbah is not a condition for the validity of waqf, or for taking its possession, rather it is essential for acquiring its spiritual reward. Therefore a waqf is completed without the presence of a spiritual motive. An illness resulting in death or generally capable of causing it is called death illness (marad al-mawt). All the schools concur that if a person in such an illness makes a waqf of his property, it will be valid and will be created from the bequeathable third, and if it exceeds this limit the consent of the heirs is necessary regarding the excess. The schools concur that a mawquf property should fulfil all the conditions required of a saleable commodity, that it should be a deter minate article owned by the waqif. Therefore the waqf of a receivable debt or an unspecified property (such as when the owner says 'a field from my property' or 'a part of it') or that which cannot be owned by a Muslim (e.g. swine) is not valid. The schools also concur that the mawquf should have a usufruct and must not be perishable. Hence that which cannot be utilized except by consuming it (e.g. eatables) will not be valid as a waqf. To this class also belongs the waqf of usufruct; therefore, if a tenant makes a waqf of the usufruct of a house or land which he has rented for a specific period, it will not be valid, because the notion of waqf as something in which the property is detained and its usufruct dedicated for a charitable purpose is not fulfilled here. 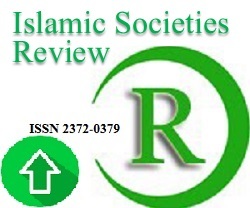 There is consensus as well regarding the validity of waqf of immovable property, e.g. Iand, building, orchard, etc. All the schools, excepting the H. anafis, concur on the validity of waqf of movable property, such as animals, implements and utensils, for they can be utilized without being consumed. According to Abu H. anifah, the waqf of movable property is not valid. But of his two pupils, Abu Yusuf and Muhammad, the former accepts the waqf of movable property provided it is attached to an immovable property (for instance, cattle and implements attached to an agricultural land) and the latter limits its validity to the weapons and horses used in war (Fat,hal-Qadir, vol.5, and Shar,h al-Zarqan'i, vol.7). According to the author of Mulhaqat al-'Urwah, a work on Imámi fiqh, the waqf of the following forms of property is not valid: (1) mortgaged property; (2) property whose possession cannot be delivered (for instance, a bird in the sky and a fish in water, even if they are owned by the waqif); (3) a stray animal; (4) usurped property which the waqif or the beneficiary are unable to recover; but if this property is made a waqf for the benefit of the usurper the waqf is vaild because the condition of seisin is achieved. 1. He should exist at the time of the creation of the waqf. If he does not (as when a waqf is created for a child to be born later), the Imám;, Shaafi'ee and H. anbali schools consider the waqf as invalid, while the Malik; school regards it as valid. It is stated in Sharh al-Zarqani 'ala Mukhtasar Ab? Diya': A waqf in favor of a child to be born in the near future is valid, though it will become binding only on its birth. Therefore, if it is not conceived or miscarries, the waqf will become void. According to all the schools, when the beneficiary ceases to exist after having existed at the time of the creation of waqf, the waqf is valid (as when a person creates a waqf for his existing children and their future descendants). Regarding a waqf in favor of a foetus, the Shaafi'ee, Imámi and \anbalí schools consider it invalid, because a foetus is incapable of owning property until it is born alive. This principle is not negated by the allocation of a share in inheritance for an unborn child in anticipation of its birth and by the validity of a bequest in its favor, because these two instances have specific proofs for their validity. Furthermore, the allocation of a share in inheritance for an unborn child is meant to safeguard its right and to avoid the complications which would arise as a result of redistribution. 2. He should be capable of owning property. Hence it is neither valid to create a waqf nor to make a bequest in favor of an animal, as done by Westerners, especially women, who bequeath part of their wealth to dogs. Regarding the waqf of mosques, schools, sanatoriums etc., it is actually a waqf in favor of the people who benefit from them. 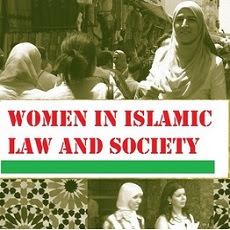 The Imámi Jurist al-Sayyid Kaazim al-Yazdi observes in the chapter on waqf of his book Mulhaqat al-'Urwah: "...Rather, it is also valid to create a waqf in favor of a harbl and to show kindness to him in order to encourage him to righteous conduct." Two kinds of people will perish concerning me: The one who hates me and the other who goes to the extreme in his love for me. 4. The beneficiary should be specifically known. Thus a waqf created in favor of an unidentified man or woman will be void. The Málikís say: A waqf is valid even if the waqif does not men tion the purpose of the waqf . Hence if he says: "I dedicate this house of mine as waqf," without adding anything else, the waqf will be valid and its usufruct will be spent for charitable purposes (Sharh al-Zarqan'i 'ala A bl Diya '). 5. The Imámi, Shafi'; and Malik; schools observe: It is not valid for a waqif to create a waqf for the benefit of his own person or to include himself among its beneficiaries, because there is no sense in a person transfering his property to himself. But if, for instance, he makes a waqf in favor of the poor and later becomes poor himself, he will be considered one of them, and similarly if he creates a waqf in favor of students and later becomes a student himself. The Hanafi and \anbalí schools, however, permit such a waqf (al-Mughni, Abu Zuhrah, al-Shi'rani's al-Mizan; Mulhaqat al-'Urwah).